Flinders University is excited to announce news regarding the Medical Program at Flinders University. Flinders University is now offering a new international undergraduate pathway into its Medical program. Applications for 2015 entry will soon open on 6th March 2014 and close on 30th April 2014. This undergraduate program is six years in length. FLINDERS MEDICAL SCHOOL APPLICATIONS ARE NOW OPEN FOR FEBRUARY 2015 ENTRY. 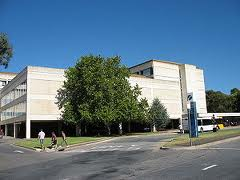 Flinders Medical School offers a 4 year graduate-entry Medical program, Doctor of Medicine.